← Wednesday call time on GT-F deal – now that would be a signing! Leeds United, Sheffield Wednesday and Lincoln City are three clubs that deserve a break. Yes there are probably plenty of others that can put a decent case for success from tiers two to five in the football pyramid, yet the loyalty of the supporters of these three have been tested to the limit given the heritage of the clubs and, the potential to compete at much higher levels. Were it not for three heroes the respective clubs would have buckled financially. As for the weight of expectation, well that is the thing that will ensure these three institutions will rise again, despite the challenges that still confront them, with the next seven days pretty key. Massimo Cellino faces the Football League this week, defending his right to continue to lead Leeds back from the brink. If anyone is fit and proper in the people’s game it is one of the most passionate men in football. A dream come true for the vulture press, from comedy of errors to villain to hero, the man holding folding for The Whites, has gone through managers almost as fast as the Leeds cash cow has gone through the Italian’s greens. Yet the fans love him – over twenty thousand signed a petition to get the League to change their mind – yet still the League seek to ban him from being chairman until the middle of March. This is a man who went in with the away support and sang during a hammering at Brentford, in that moment he epitomised and bonded – apt given the Leeds anthem Marching on Together, something that has kept this fantastic football club alive as it lurched from one crisis to another. You would think one on the League committee would realise that as he was a steward of the club during a head-on cash crash. Oh Massimo, insane no, idiosyncratic certainly, passionate definitely, Massimo Cellino is the man for all seasons – for all the right and just a technicality or two of wrong reasons. Leeds lost £23 million last season as they attempted to turn a huge ship. Think of an oil tanker that you need to put in reverse to ensure it stops in three miles time. The League made no exceptions and promptly slapped a transfer embargo on a Leeds side that has youth at its heart but needs a few older heads to ensure it survives a relegation battle this season. Love them or hate them football needs Leeds far more than it needs a committee that is quite happy to ignore parachute payment inequality yet preside over matters of fit proper and fairness as it munches through the prawn fuelled by financial windfalls from The Premiership. Two Christmas’ ago Milan Mandarić, the saviour of Sheffield Wednesday went round the Sheffield Children’s hospital. He ensured the board and players were there to a man and of course Owl, giving time and care with Milan doing every single bed personally. One who clearly cares he had saved the club and this latest modest gesture made me realise why he deserved the huge banner in the kop – yes Liverpool do not have the monopoly on that or home end passion whatever the media tell you. The message red ‘The city is ours – Xbajia Milan’, (thank you’ in Serbian, Milan’s native tongue. Milan has gone on to get the Owls promoted from League One humility – perhaps the hard earned virtues of the steel artisans – and then plugged £5 million a season losses in the championship, This has paved the way for Stuart Gray to cobble together a side that is four points from the play-offs. This, in the face of competition from the ex-Premiership princes who are rewarded with parachute payments in exchange for failure. Four thousand saw rebate rewarded Fulham beat the Owls 4-0 but they were unbowed. A packed away end at Forest yesterday sang non-stop and was rewarded with a 2-0 win over a side that spent big and nicked a much prized Owl to boot! Timely? Could be as this week a Thai consortium could well make some of the most incredible supporters in world football’s dreams come true, but only if Milan feels they care deeply for the club and can do it justice. The Owls had a deal collapse for £40 million in the autumn, this one will be ten million less, so it is not about money for Milan it is about passing a torch. A torch that lit the touch paper for the peoples’s game. For Sheffield rules football is where it all started, the steel city is arguably still the spiritual home of football. It was the birthplace and therefore to say The Wednesday have as much a top-flight birthright as The Arsenal, seems more than fair. A quick completion of the deal with the Serbian remaining as steward could give Gray the three players he needs in the window – and just maybe a fair wind to the promised land. 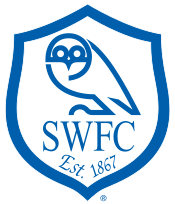 It would be one in the eye for Fulham who spent £11 million on Leeds McCormack in August and Forest who robbed The Owls blind for winger Michail Antonio in the summer. So to Lincoln a club that has seen committee culture and poor stewardship ensure it has failed to realise its fantastic potential and even fall from the Football League. Where the City went forward the club did not until a local lad with gas connections, Chris Moyses, started putting his own money into the team recently. He needs to Lincoln are losing money and the team and budget continues to suffer with the fans suffering death by a thousand cuts as teams continue to scalp perceived giants in the Conference. After beating the bottom feeders, a 3-1 win at local rivals Grimsby – thanks to a wonder goal from Charlee Adams (a Birmingham loan thanks to Moyses) – the Mighty Imps trounced top-dogs Barnet 4-1. Both Grimsby and Barnet have budgets 3 and 4 times more than Lincoln respectively. Yesterday 10-man Lincoln lost 4-0 to Eastleigh who missed four penalties and moved into fifth. For the long suffering Imps it could have been just a bad day at the office, yet they still sit five points off Eastleigh and the play-offs. Yet one feels that Chris Moyses will continue to put football first at Lincoln now that he is a managing director in football terms ie the manager and a director. Lincoln pioneered that concept when chairman John Reames combined both roles. He also wore his heart on his shirt and Lincoln did see exciting times under him, albeit when he was back in the directors box. Lincoln hold the record for returns to the Football League and, although this may be a season too early perhaps the Moyses approach can work. He too is at a key moment this week. A win over Aldershot – the side that relegated The Imps in front of a teary battle weary 8,000 at Sincil Bank – will see his philosophy continue to restore the fantastic faith the Imps have. Defeat will be a sad slap in the face for the first Lincoln green shoots for many a season. The local lad, who is Lincoln born and bred and was a well-known face on the terraces in his time, has told his team to play their football as opposed to worrying about the competition. Brave indeed but when a youngster like Connor Robinson rounds off the rout in a 4-1 win over Barnet you know there is pride in his side. If that can infect the missing thousands Lincoln will return to the promised land. The City can and will sustain a Championship team one day. Posted on January 11, 2015, in Manager's pearls of wisdom, The Championship Angle, Writers - Neil Gentleman-Hobbs and tagged Leeds United's Cellino faces Football league, Liincoln City manager Chris Moyses faces Aldershot test, Sheffield Wednesday Thai takeover. Bookmark the permalink. Leave a comment.